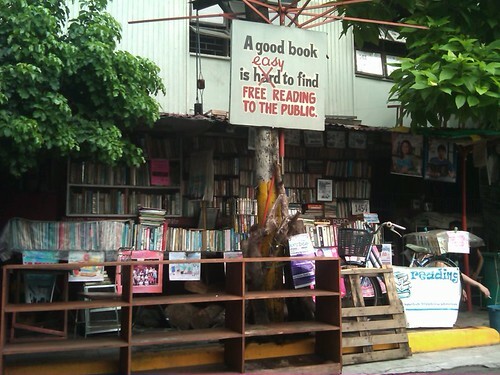 Reading Club 2000 or popularly known by the Makati locals as “library sa may Balagtas”. It’s located in 1454 Balagtas St., Barangay La Paz, Makati City. Founder Hernando “Nanie” Guanlao says, the library never closes, it means it’s open 24 hours a day, everyday! For further inquiries you can call 0915-7291526 or e-mail readingclub2000@yahoo.com.